A beautiful city in the foothill of the Himalayas has its fair share of admirers. It is visited by many tourists throughout the year. Even though temples are its greatest draws, a sightseeing trip of the place includes several other historical sites like the Bahu Fort and the Mubarak Mandi Palace. It would indeed be more precise to refer to this tourist destination as Mubarak Mandi Palace Complex for there are several buildings in this compound all surrounding a single courtyard. Formerly the residence of the erstwhile rulers of Jammu, a visit to the Mubarak Mandi Palace Complex is like talking a walk back in time. You suddenly get a taste of the kind of life led by the royals of yesteryears. 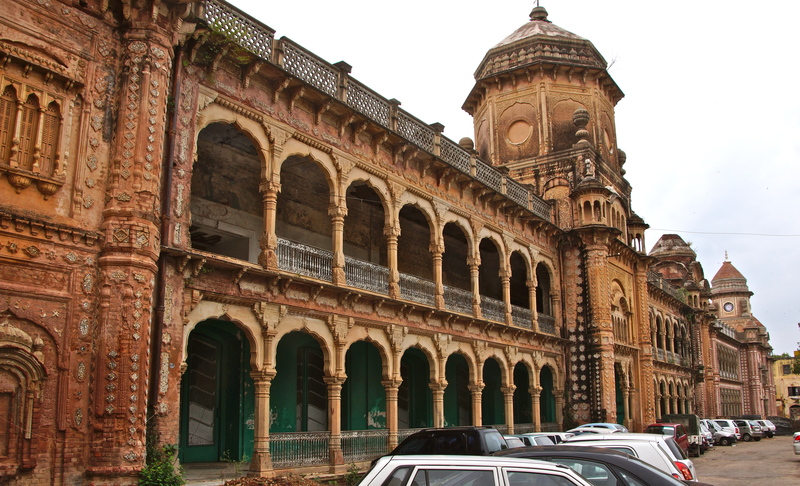 The oldest building of the Mubarak Mandi Palace Complex dates back to 1824. However the construction of all the buildings was rounded up about 150 years ago. One is sure to be impressed by the architectural skills that have been displayed by the artisans while constructing the buildings. A unique blend of Rajasthani, Mughal and Baroque European styles, they are to be marveled at. Particularly striking is the Sheesh Mahal. It can be undisputedly rated as the most spectacular of all the structures within the Mubarak Mandi Palace Complex. The setting is also quite admirable. The palace commands great views of the Tawi River and the city of Jammu. Presently housing government offices and courts, the halls and galleries of the Mubarak Mandi Palace were once the venue of official functions hosted by Dogra rulers. The greatest attraction of the Mubarak Mandi Palace however remains the Pink Hall. It houses the Dogra Art Gallery. The gallery has an amazing collection of sculptures and paintings that are sure to leave any visitor startled.